You may have seen him at your local mall, smiling out at you from a poster in the window of a shoe store, but Oliver the dog model is more than a brand ambassador — the photogenic former shelter pup is also a breed ambassador. 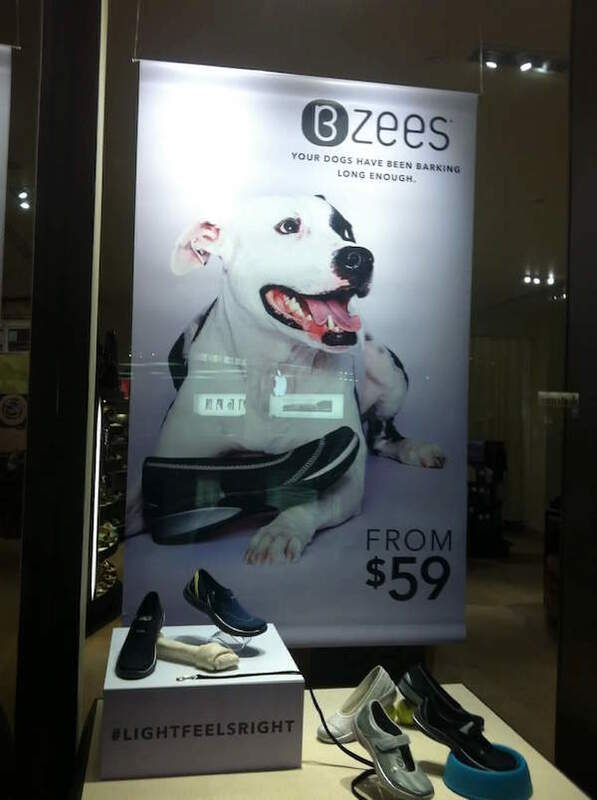 Officially, he represents Bzees shoes, but he’s also the unofficial poster dog for misunderstood Pit Bulls everywhere. “I’ve had Beagles, Poodles, Terriers, Yellow Labs — and I’ve never had a dog as affectionate and as goofy as Oliver,” explains Oliver’s human, Lori McDermid. 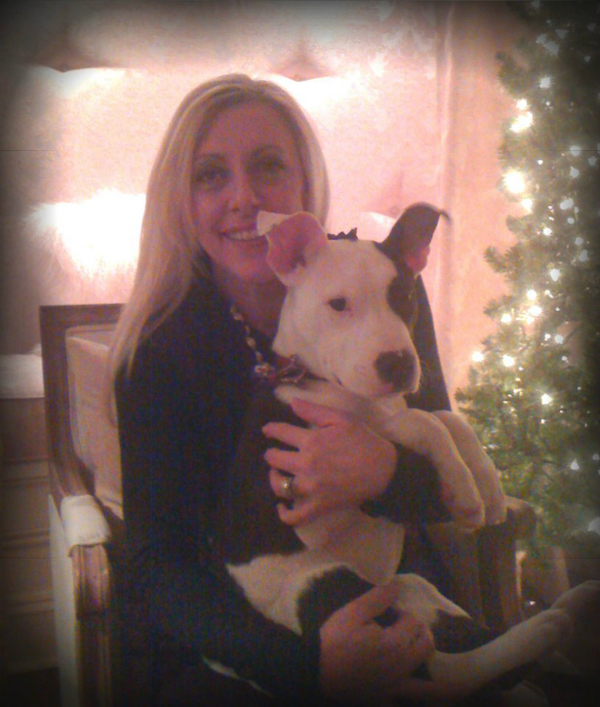 The vice president of Bzees, Lori is proud of how far the company’s Chief Canine Officer has come since the pair met at the St. Louis Humane Society shelter on December 22, 2010. Oliver was between 6 and 8 months old at the time. Rescued from a empty warehouse weeks earlier, he had just come out of medical isolation when Lori walked into the shelter to drop off some holiday donations. Despite everything that he’d been through, Oliver managed to make Lori fall in love at first sight. His cute little ears pulled on her heartstrings, and soon she was signing adoption papers. Lori knew others might be wary of a Pit Bull, but the label didn’t scare her. “When I saw Oliver, it didn’t matter what you called him — he was such a love bomb,” Lori remembers. Soon Lori and her husband were welcoming Oliver home to meet their other dogs — an Akita mix named Polly and a Coonhound mix named Monty. Oliver’s adoption happened just one day before the whole family planned to head to their lake house for their annual Christmas trip, but Oliver wasn’t about to go anywhere after spending the night in his very own dog bed. “He didn’t want to leave the house. He wasn’t leaving that bed,” says Lori, who believes Oliver was afraid leaving his new bed would mean going back to the shelter. As Oliver’s personality blossomed, Lori learned more and more about the bias dogs like Oliver face, and decided to create Oliver’s Clubhouse, a Facebook page dedicated to advocating for Pit Bull-type dogs. Lori credits Oliver’s infectious energy with motivating her to get involved with the cause. On Facebook — and at the office — Oliver and Lori are dedicated to their mission. Oliver is the face of Bzees’ Fetching Hope campaign, which sees the shoe company partner with animal charities each quarter. Most recently, Fetching Hope raised $1,000 for the Colorado State University Flint Animal Cancer Center. This campaign was close to Lori’s heart, as Oliver fought cancer himself earlier this year. Chemotherapy and surgery successfully treated his mast cell tumor, and according to Lori, all the encouragement from Oliver’s Facebook fans helped, too. It’s been six years since Oliver left the shelter behind and stepped into his picture perfect life as a pampered dog model, but many Pit Bulls aren’t as lucky. 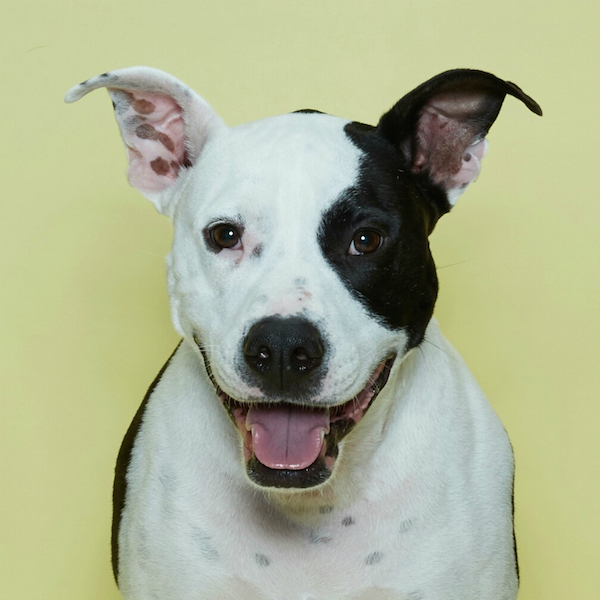 As Oliver is challenging perceptions of the breed though adorable poses, Lori is urging potential dog adopters to look past breed labels when visiting a shelter. She says many people are still unfamiliar with who Pit Bulls really are. The post Oliver the Shelter Dog Becomes a Shoe Model appeared first on Dogster.